Does your lawn look it’s best? 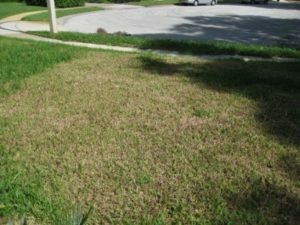 Here are some common lawn problems found in Florida’s St. Augustine Grass that can be addressed with pest control services. 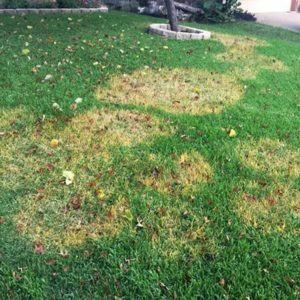 Brown Patch Fungus: This is a cool-weather disease that doesn’t show up until late September or October, and mainly after the first fall rains. It is a leaf disease that rots the blades where they attach to the runners. They pull loose easily from the runners. 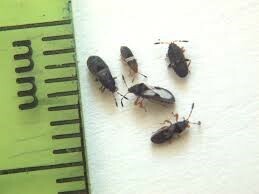 Chinch Bugs: Small black insects with white, diamond-shaped patches on their wings. Always in the hottest, sunniest parts of the lawn. Never in shade, and won’t show up until late June through August. Grass will appear dry, but watering won’t perk it back up. Will return to same parts of yard each year. First symptom: grass blades fold and turn glossy olive drab. As mentioned, watering doesn’t help. 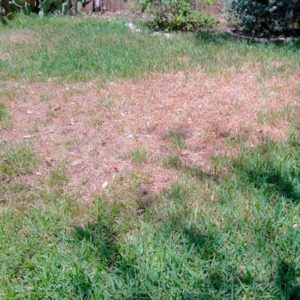 You must apply a labeled insecticide quickly or the grass will be killed in the afflicted areas. Grubs: Damage shows up in the spring. 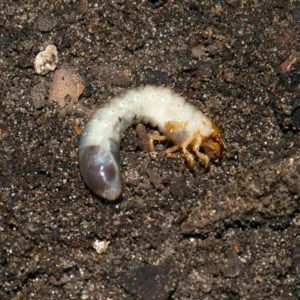 CRITICAL SYMPTOMS: Grass pulls loose easily from the soil because roots have been eaten by the white grubs (If you dig several square-foot patches in the afflicted areas you will see 5 or 6 grubs per square feet. If you encounter only one or two, grubs are not the cause. Birds pecking at grass are a sign of infestation. 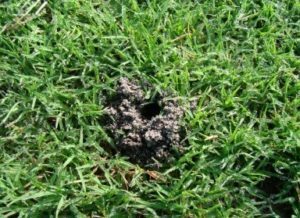 Sob Web Worms: Tropical sod webworm larvae are destructive pests of warm season turfgrasses in the southeastern U.S., especially on newly established sod, lawns, athletic fields, and golf courses. Larval feeding damage reduces turfgrass aesthetics, vigor, photosynthesis and density. 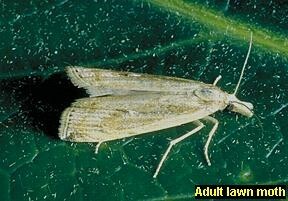 The first sign of damage is often caused by differences in grass height in areas where larvae are feeding. Tropical sod webworms are part of a pest complex of warm season turf caterpillars in Florida that include fall armyworm (Spodoptera frugiperda), striped grass loopers (Mocis spp. ), and the fiery skipper (Hylephila phyleus). 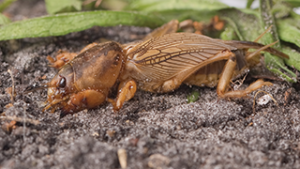 Mole Crickets: Mole crickets are another garden pest that can cause damage to our Saint Augustine lawns. These unusual looking creatures will burrow and tunnel underneath our lawns in all directions, happily eating through our beautiful lawns as they go. Gray Leaf Spot: Shows up in mid-summer. 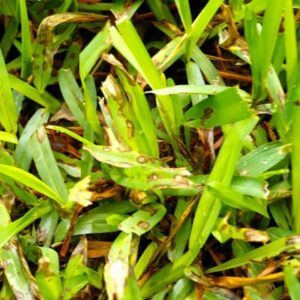 Fungal organism causes the disease, but it is greatly accelerated by application of nitrogen. Lawn has yellowed washes and sweeps when viewed from the sides. Individual blades and even runners will have diamond-shaped, gray-brown lesions slightly bigger than pinhead-sized. Apply labeled fungicide.